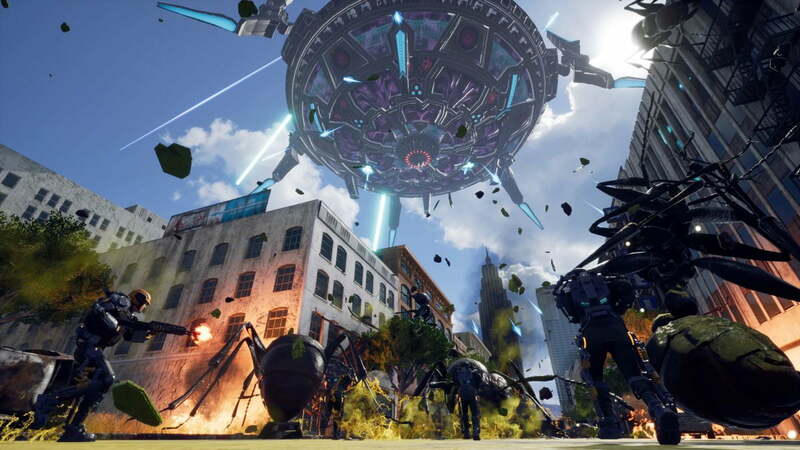 Earth Defense Force: Iron Rain is the latest installment in the franchise that started on PlayStation 2 in 2003. Many years and many titles later, the video game Iron Rain arrives as a spin-off with a particular approach: make the final leap to the public of this part of the world, without leaving behind the roots that made him stand out so much in Asia. The first impressions that I had about the game were good, even being the first title in the franchise that I had the pleasure of playing. Although the premise is still a little wacky, with an invasion in the land of aliens and giant insects that destroy everything in their path. The civilization is lost, but the squadron EDF arrives to try to save the day. Also destroy everything, of course, but at least the purpose is different. One of the main aspects of Iron Rain, and one of the ways in which the study of development Yuke’s and the distributor D3 Publisher wanted to reach out to our audiences, is putting a focus on the main story. Beyond the premise, known by all, above it comes to choosing equipment, getting to a mission, and desecrate everything that was not human. Here you try to change a little bit of this, but neither stands out at all. EDF always seemed and felt like a movie of class B, and this is maintained. It is part of the charm, but if you are one of those people who are looking for a story that catches you, the focus is on the other side. The protagonist, which we can customize, will be present just when the invasion begins. But after a tough battle, ends up in a coma for seven years. When you wake up… oh surprise! the invasion continues and it is bigger than what I had imagined. There are cinematics between missions which add to this argument, and some of them are entertaining, but these moments are not the ones that will stay in your head long after a play session. For that is the gameplay, where combat sequences shine for being spectacular at what Michael Bay, and are just as grotesque as exhilarantes. Iron Rain is divided by a number of missions, before you start, allow you to choose two types of weapons to carry. You can find machine guns, shotguns, rifles, laser snipers, bazookas, and even melee weapons that also attack from a distance. There really is everything. In addition, you can carry small items such as grenades, and there are different skills depending on the class you chose for the character. The Trooper is the most rudimentary of all, but it stands out for being able to dodge and carry heavy weaponry. The “Jet Lifter” has a focus air thanks to his jetpack. The “Heavy Striker” is the heavy of the team, as the name implies, sacrificing speed and gaining a shield that turns it into a tank perfect. And finally, the “Prowl Rider” seems straight out of Attack of the Titans, and, no doubt, presents itself as the most prominent of all. While most missions we completed, the more weapons and equipment is unlocked for our character. This makes traversing the game’s mission is a task to which we want to return frequently, either alone or in the company of friends cooperatively online. This is ideal, as some missions stand out more than others. The focus always tends to be the similar: you enter a place and exterminate everything that we are crossing. There are moments of exploration quite interesting, as to investigate the sewers or caves using our flashlight, which sometimes makes it seem like a game of terror, being surprised by enemies by jumping towards us by surprise. It is something that I would have liked to have explored further, but it is clear that Iron Rain , or even EDF in general is not about that. The important thing is to land on the field of battle with the largest guns you can find, conduct missions, and return to the initial screen to buy improved versions or enhancement is entirely new. The goal is to go back and continue massacring insects. It is a loop interesting, but I would like the missions to innovate beyond just presenting new scenarios to explore briefly. There are several dynamics that are given almost the natural way that make the gameplay very entertaining. The intense moments in battle are great to see, and the classes are quite different from each other, although there are no differences so great. They feel narrow, but complement each other if we join a session with other people and we were able to complement each other. Someone with not a lot of mobility, you can take care of to inflict the greatest possible damage to a big enemy, while the more agile can go by the map below covering the backs. There are several dynamics that are given almost the natural way that make the gameplay very entertaining. Besides being able to play co-op, the competitive mode online is a strong point, as we discussed in our note of preview. Iron Rain presents battles between teams who must confront not only each other, but also against waves of enemies that will become more difficult depending on how many rounds for the duration of the game. In addition, there is also to go, collecting a few gems on the map and deposit them in terminals to be able to earn points for the team, so that there is a strategic value more than interesting. 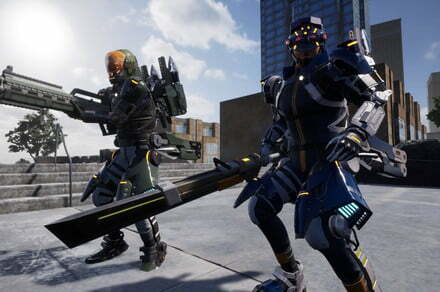 Earth Defense Force: Iron Rain is a complicated game to recommend. On the one hand, it is an interesting premise that can serve as a fun with friends for a good couple of hours. But I’m intrigued to know what awaits this title in particular the future. The developers said that they wanted to add new free content over time, which añadaría much, because the multiplayer modes could be exploited even more. There is a clear potential in Iron Rain, but maybe it is not the gigantic leap forward they were hoping to get.